Your boat was made for water. But, when you don’t plan to (or can’t) be on the water year-round, the best place for it is outside of this natural element. Even if the water doesn’t get cold enough to freeze, it and other harsh natural elements – such as UV damage and blistering temps – can present threats to your boat. 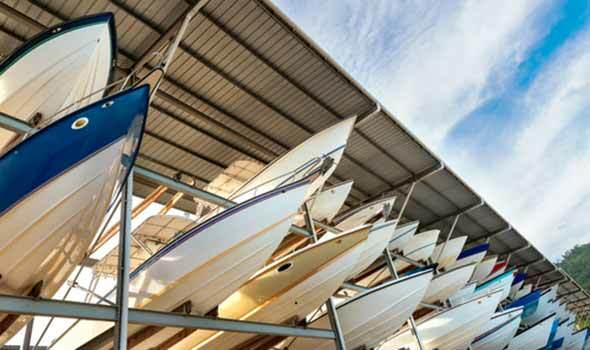 Some boating enthusiasts, however, may rightfully be concerned about the costs associated with boat storage services in Redlands and the surrounding area. By city ordinance, most communities in the region don’t allow you to park your craft at home, and marina fees, for instance, may be excessive. Vines Storage offers flexible options, designed to meet our clients’ diverse needs. These affordable options include short-term and month-to-month leasing, as well as longer-term arrangements that provide the best value. Vines Storage is unique; converted from an expansive warehouse, the facility can accommodate everything from the smallest wave runner to the largest cabin cruiser. With more storage per cubic foot than other facilities in the Inland Empire, your boat has its own space. There is no stacking your watercraft above or under another person’s boat! All boats are stored at ground-level, which isn’t just great for the safety of you and your boat. It also helps you get in and out of the facility quickly, with easy headache-free access to your boat for those quick weekends on the water or spontaneous outings. 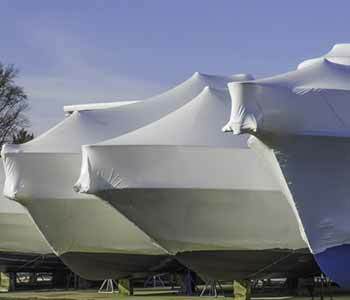 Vines Storage helps to keep your boating beauty ship-shape with many onsite amenities, such as a pleasant and roomy cleaning area, fresh ice, and other services to get you on or off the water easily and quickly. And when the boat isn’t in use, it’s also protected from other destructive elements – the criminal kind. Vines Storage’s security professional lives onsite in an attached apartment. This human touch is complemented by technology, in the form of 32 cameras that surveil the entire storage site 24/7 and access control to assure only clients and storage professionals can enter the facility. Indoor storage, an option that isn’t available at every RV storage center in and around Redlands, helps to keep furry and slithery elements out. Critters can wreak havoc on expensive components. Considering an average new pontoon boat alone costs $35,000, Vines Storage wants to aid in protecting your investment so you can enjoy it for years to come, and without additional undue expense to repair or replace damaged parts. Plus, you deserve to spend more time on the water, enjoying your craft, and less time repairing and preparing it! With features designed with our clients in mind, Vines Storage has made it fast and easy to keep your boat looking and running like the day you got it. Maintenance has an important effect on your watercraft’s performance – and it should be said that not all insurance policies universally cover boats that are damaged due to a lack of maintenance or neglect. Always consult your owner’s manuals. They contain manufacturer recommendations that were developed specifically for your boat and its system’s unique needs. Generally speaking, out-of-water storage should include pressure-washing the hull and removing barnacles and other debris that can cause irreversible, permanent damage to marine craft. Check for and drain any remaining water. The hull deserves a good wax job. The off-season is a perfect time for some TLC. Ensure all batteries are fully charged. Double-check that all switches are set to off. Be aware that not everything is as bad as it looks. Some corrosion is normal, and even stainless fasteners corrode in moist environments. Rusted-looking fasteners and fittings may require removal, replacement, and the application of a sealant. Like your wheels, distinctive sounds are clues that something is amiss. Listen closely for grinding or whining from the sterndrive. A new gimbal bearing may be in your future. 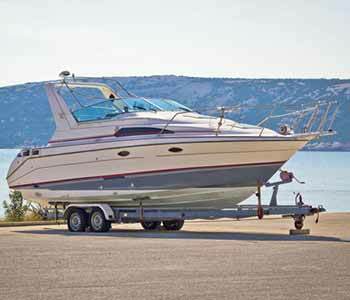 Even a modest runabout can run-aground due to any number of problems, as there are still hundreds of fasteners and dozens of fittings to contend with, but partnering with the right storage professional can help to keep your watercraft afloat for years to come. Call 909-389-6209 to discuss your options for boat storage and reserve a home away from the water for your boat today.